The beginning of something. It fills our heart with hope. But if we talk about endings, the mood in the room shifts a little, doesn’t it? We can all wrestle with hard questions and emotions when faced with an ending. *Christ’s Church is a strategic partner of Grace Chapel in Lexington, MA and features the teaching of Pastor Bryan Wilkerson and the Grace Chapel Teaching Team. Have you ever wondered if the author of your story has anything to say about where your story is going, what part you have to play, and who you really are? *Christ’s Church is a strategic partner of Grace Chapel in Lexington, MA and features the teaching of Pastor Bryan Wilkerson and the Grace Chapel Teaching Team. Have you ever wondered if your life was headed in any particular direction at all? Ever looked back over the events of your life and wondered how, or IF, they all fit together? *Christ’s Church is a strategic partner of Grace Chapel in Lexington, MA and features the teaching of Pastor Bryan Wilkerson and the Grace Chapel Teaching Team. 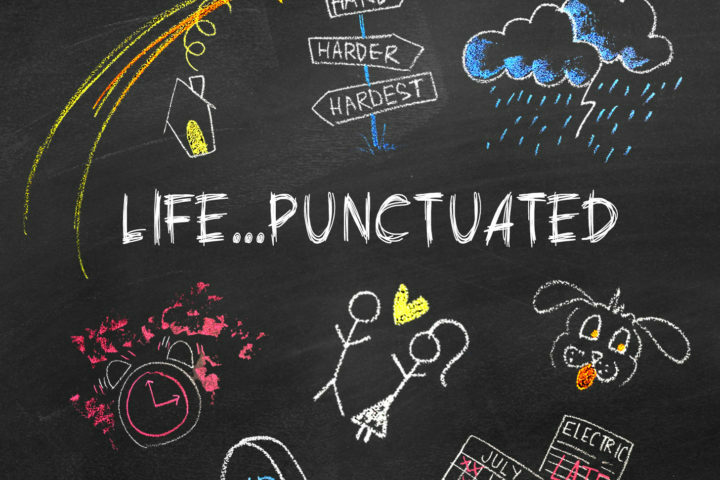 A well punctuated life is courageously curious about God, oneself, and others. *Christ’s Church is a strategic partner of Grace Chapel in Lexington, MA and features the teaching of Pastor Bryan Wilkerson and the Grace Chapel Teaching Team. God didn’t give us the exclamation point. That’s a human invention. But he did give us emotion. He designed us to live with passion. *Christ’s Church is a strategic partner of Grace Chapel in Lexington, MA and features the teaching of Pastor Bryan Wilkerson and the Grace Chapel Teaching Team. A well punctuated life embraces seasons of uncertainty – recognizing them as opportunities for God to shape us for the next chapter in our story. *Christ’s Church is a strategic partner of Grace Chapel in Lexington, MA and features the teaching of Pastor Bryan Wilkerson and the Grace Chapel Teaching Team.